The Portuguese Franchising Association and the Institute for Information in Franchising (IIF) – currently part of the International Faculty for Executives (IFE) – were created to provide information about franchising and to help overcome difficulties resulting from the lack of specific rules applicable to franchising. Both entities encourage contact between the various groups with an interest in franchising, namely franchisors, companies looking for business partners, franchisees, potential investors and suppliers of goods and services for networks. The IFE monitors the development of franchising in Portugal through its franchising census, which it carries out regularly. According to the 23rd franchising census, organised by the IFE, in 2017, Portugal has experienced marked growth in the franchise market, with a significant increase in the number of brands and the diversification of business areas. In 2017, 40 new business concepts were developed in the national franchise market, which now consists of 610 franchise brands (66 per cent of them from Portugal). Foreign investment is permitted in almost all economic sectors open to private investment in general, there being virtually no barriers to foreign-owned or foreign-directed enterprises. Foreign investment operations do not need to be registered with, or authorised by, the Portuguese central or local authorities. Administrative requirements concern only specific matters such as trademarks, intellectual property rights and certain sector-specific regulation. However, for EU-based investors these requirements cannot constitute restrictions to the right of establishment set out in the Treaty on the Functioning of the European Union (TFEU). In addition, the Portuguese government may grant benefits to large investment projects – to both national and foreign investors – such as financial incentives and tax benefits or public funding. AICEP Portugal Global is the government business entity entrusted to manage and attract foreign investment, and it is entitled, on behalf of Portugal, to receive, assess, negotiate and contract large investment projects eligible to benefit from state aid. Nevertheless, as member of the EU, the Portuguese government must comply with state aid rules established in the TFEU; thus, the award of such benefits may require prior approval by the European Commission. Corporate income tax (IRC) is applicable to income obtained both by resident and by non-resident entities. Portuguese law taxes non-resident entities only on the income obtained in Portugal, and taxes resident entities on global income, either from internal or external sources. investment income (including dividends, interest and royalties) paid to an entity domiciled in a tax haven listed in the Portuguese blacklist of offshore jurisdictions is taxed at 35 per cent. Portugal has signed double-taxation treaties with 77 countries and two others are pending ratification. There are currently millions of registered trademarks in the world and several hundred thousand of them are in force in Portugal. Determining the ability to use a trademark in the Portuguese market is essential before large investments are made in marketing and packaging, and, importantly, before entering into a franchise agreement. Registered trademarks can be searched in a number of public databases or, alternatively, it is possible to hire specialised companies to conduct in-depth clearance searches. Two of the most popular public databases used in Portugal are TMview and the database of the National Institute of Industrial Property (INPI). In performing a trademark clearance search, it is necessary to bear in mind the criteria used for assessing the likelihood of confusion, namely issues of priority, similarity of goods and services and similarity of the marks from visual and phonetic perspectives. One should remember that no search provides a 100 per cent guarantee that the trademark application will proceed to grant nor that there will be no third-party opposition. 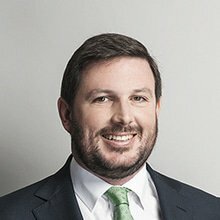 Indeed, in assessing the viability of a trademark application, it is important to remember that, inter alia, company names may be used as basis for opposition and that foreign trademarks often benefit from a six-month priority period, during which they can claim protection in Portugal. Unregistered trademarks that are used in commerce also have limited protection for an initial period of six months and may be invoked in opposition proceedings. Furthermore, given that Portugal is a Member State of the Madrid Agreement and Protocol and of the EU, it is necessary to remember that European Union and international trademarks may also be in force in Portugal. Whereas the process of searching and clearing a trademark is a well-understood and common procedure, verifying the non-existence of conflict in other areas (image rights, business process, etc.) is highly complex and carries with it significantly more risk. These risks should be duly taken into consideration in franchise agreements. The 'brand' is normally considered to be the central element of a franchise deal. Indeed, it is the brand that franchisees use and exploit in a certain territory to attract more customers and increase sales. The franchisor must, consequently, authorise the franchisee to use one or more brands and ensure that they are protected and maintain their value and attractiveness. Registration of the brand is fundamental to provide the franchisee with comfort in relation to the rights it is using. The Portuguese trademark registration process is governed by the Portuguese Industrial Property Code, approved by Law-Decree No. 36/2003 of 5 March 2003. The 2003 Industrial Property Code is set to be replaced (for the most part) by a new Industrial Property Code as of 1 July 2019 (approved by Law-Decree No. 110/2018 of 10 December 2018). INPI will only start examining the application after the two or four-month period referred to above; the purpose of the examination being to ascertain and confirm whether the application meets the criteria foreseen in the law (the 'absolute grounds of refusal') and that the trademark is not likely to be confused with an already existing registered trademark (the 'relative grounds of refusal'). The application is only approved following this examination, after which it is registered and published in the official Industrial Property Bulletin. These decisions can be appealed to the Intellectual Property Court, currently seated in Lisbon, or, if all interested parties agree, to an arbitral court set up at the ARBITRARE centre. Article 3169 of the Industrial Property Code establishes that industrial property benefits from the same protections as those established for property in general. An owner of a registered trademark may file a claim against anyone infringing the owner's trademark rights, namely using, without authorisation, in the course of trade, a mark that is identical or similar to the one registered, on products and services identical or similar to those included in the aforementioned registration and, as a consequence, causing a risk of confusion in the market. Special protection exists in Portugal for well-known or prestigious marks. An owner of an unregistered trademark also may file a claim under the unfair competition chapter of the Industrial Property Code or under the general rules of non-contractual or contractual liability set forth in the Civil Code. Article 31710 of the Industrial Property Code establishes that certain behaviour by competitors may be considered unfair competition, including any acts that mislead consumers as to the identity of the company and origin of the products or services. As with Portuguese trademarks, which are registered in a manner almost identical to that seen in other European Union countries, other intellectual property rights such as patents and designs also follow approval procedures closely based on EU legislation or international treaties. In Portugal, it is standard practice for the obligation to protect the brand to fall on the franchisor, since that is one of the essential aspects of the franchise agreement. The types of action available to a foreign trademark holder will largely depend on the circumstances of such a trademark being registered or in force in Portugal. If the trademark is in force in Portugal, the foreign trademark holder may file a civil trademark infringement proceeding against the infringer, requesting that the infringement cease and, additionally, requesting compensation in cases where damage has occurred. In situations of great urgency, it is possible to request a preliminary injunction for the cessation of the infringing activity. The foreign trademark holder may instead or in addition file a criminal complaint against the infringer, given that trademark infringement constitutes a crime under Portuguese law. Such a complaint would be investigated by the Portuguese public prosecutor and it is for the latter to decide to bring a case to court. The plaintiff also can request compensation under this procedure. The criminal complaint would have to be filed by the trademark owner within six months of him or her becoming aware of the infringing actions. Furthermore, a foreign trademark holder may file a complaint of unfair competition, which is considered a misdemeanour under the Industrial Property Code. The complaint is filed with the Economic and Food Safety Authority, a police agency, and it is then decided by the INPI. In the context of franchise agreements, the improper use of a trademark generally gives rise to a breach of contract, the consequences of which are typically resolved by either a judicial court action or arbitration (depending on what is stipulated in the agreement). In relation to third-party infringements, it is customary for the franchise agreement to stipulate the parties' obligations and the mechanisms agreed for pursuing enforcement through the courts. Personal data is often a vital component of a franchise agreement, and customer lists and supplier contacts are often valued information that the franchisee wishes to access when entering into a franchise agreement. Conversely, the franchisor is often interested in having access to information on sales and other financial matters that may contain personal data (e.g., invoices). The importance of personal data protection has been growing considerably in Europe and, naturally, also in Portugal. Great care should be taken to ensure that personal data are collected in a legal manner and that any transfers of personal data (particularly across borders) are done lawfully. Direct marketing is also tightly regulated and it is necessary to ensure that the legal criteria for sending marketing materials are in place. The main law regulating personal data processing in Portugal is the General Data Protection Regulation,12 which entered into force on 25 May 2018. Former Portuguese Law No. 67/1998 of 26 October, which also regulates personal data protection, is also still in force. Another important aspect of franchising deals is the access to common IT systems or databases. This access should be regulated since unlawful access to these IT systems may constitute a crime. Law No. 109/2009 of 15 September approved the Cybercrime Law, transposing into Portuguese law Council Framework Decision 2005/222/JHA of 24 February on attacks against information systems, and it has also adapted Portuguese law to the Council of Europe Convention on Cybercrime. Pursuant to Law No. 109/2009 of 15 September, several software infringements are punishable as criminal offences. These include, by way of example, computer sabotage and unlawful hacking or unlawful copying of a protected program. Companies and any equivalent legal entities may be held liable for the crimes established in this legislation. The protection of software and the general consequences for software infringement are foreseen in the Copyright and Neighbouring Rights Code (as amended) and also in Law-Decree No. 252/94 of 20 October (as amended). E-commerce is regulated in Portugal primarily under Law-Decree No. 7/2004 of 7 January (as amended). In the area of commercial distribution, only agency agreements are specifically regulated. Neither distribution nor franchise agreements are subject to specific regulation in Portugal, even though certain legal provisions are especially relevant to franchise agreements. Considering the lack of a specific legal regime applicable to franchise agreements, no licence is required for franchise salespersons. In the absence of imperative legal provisions, the parties are free to determine their own governing rules and clauses as long as these are consistent with generally applicable contractual principles.13 In particular, when interpreting and applying contractual rules, Portuguese courts will give due consideration to pre-contractual liability principles that require parties to act in good faith during negotiations. Portuguese courts have often decided in this area that parties are required to provide all necessary information prior to execution of a franchise agreement, failing which statutory civil liability may arise under Portuguese law, in particular under Article 227 of the Civil Code. Notwithstanding the fact that there is no specific legislation applicable to franchising, general rules of trademark law, company law, product liability law, standard contract terms law, agency law, employment law and consumer protection law are fully applicable to franchise agreements. Franchising is also subject to national and EU competition rules. General contractual principles prohibit the use of false and misleading expressions concerning one's own business operations or those of another party that are of a character tending to affect the supply of, or demand for, a commodity. These principles also may be regarded as applying to franchise agreement negotiations (i.e., the franchisor must provide an accurate description of its operations). If a franchisor infringes this requirement and gives a prospective franchisee an untrue or misleading impression, this may constitute grounds for rescinding or terminating the entire agreement based on pre-contractual liability established in the Civil Code. Apart from the acquisition of a Portuguese company, establishing a company or a branch is the most common method of business organisation employed in Portugal. The most common types of company in Portugal are the limited liability company (SA) and the limited liability partnership (SQ), which have in common the fact that shareholders' liability is generally limited to their interest in the capital share of the company. Although less often used, there are other ways of investing in Portugal (e.g., through joint ventures and partnerships). A franchisor may directly license franchisees where it is not necessary to control or supervise franchisees' activity in depth. This has the advantage of reducing the franchisor's set-up costs in the franchisee's location. A limited liability company is, in principle, required to have at least five shareholders, but a single shareholder is allowed when that shareholder is a company. Registration with fiscal and commercial registry authorities is required for such a company. The minimum capital share is €50,000, which may be paid in cash or in kind. An SQ tends to be used for smaller investments, with no capital share minimum required by law. A minimum of two shareholders is required, although it is also possible to set up an SQ with only one shareholder, which is designated as a sociedade unipessoal por quotas, or SUQ. Registration with the commercial registry and fiscal authorities is also required for such a partnership. Imperative rules and essential principles of Portuguese law are mandatory and thus also applicable. Franchising operations in Portugal are also bound by directly applicable EU legislation governing franchising. In franchise agreements drafted in Portugal, the shareholders of the corporate franchisee often guarantee its obligations, by bank guarantee or, alternatively, by personal guarantee secured against particular assets of the guarantor or against all the guarantor's assets. Article 6 of the Industrial Property Code establishes that the rights from patents and utility models, as well as designs or models and other trademarks, are subject to seizure and attachment and can be pledged or subject to other seizure of property. A lender may seek a collateral assignment of the franchise agreement itself that enables the lender to succeed in the rights and interests of the franchisee upon the loan's default. To avoid such a result, franchisors should object to the use of collateral assignments, whether by generally forbidding such an assignment of the franchise agreement, or by imposing specific conditions on such an assignment. The franchisor may not be left in a position where the lender continues to run the franchisee's business. Therefore, it is useful to include in the franchise agreement clauses providing for the prohibition of the assignment of rights without the prior consent of the franchisor. In Portugal there is no specific tax legislation regarding franchising contracts and relationships between franchisors, franchisees and other parties who may be involved. Therefore, the general tax system is applicable to franchisor and franchisee liabilities. Since the franchisor and the franchisee can opt to act as an individual or a corporation, it is important to summarise the most common and relevant taxes of the Portuguese tax system. Company profits are subject to IRC, which is supplemented by a municipal surtax levied on the IRC by some municipalities, and by a state surtax. IRC is levied on profits derived by resident entities or non-resident entities with a permanent establishment in Portugal. Moreover, non-residents that obtain Portuguese-sourced income are also subject to IRC (see Section II.ii). To qualify as a Portuguese resident, a company or other entity must have its head office or its place of effective management in Portugal. Any corporation or other entity that does not fulfil these requirements is treated as a non-resident company for IRC purposes (including offshore companies). 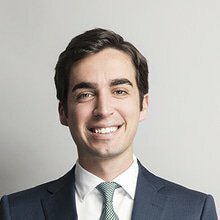 Non-resident companies that have a permanent establishment in Portugal are liable not only to IRC, but also to state and municipal surtaxes, and all taxes with respect to income and gains attributable to the permanent establishment. Portuguese subsidiaries of non-resident companies are also considered resident for tax purposes and, consequently, taxed on their worldwide taxable income in the same way as any other Portuguese-resident legal entity. The taxable base is defined as the net annual profit (the difference between the income and gains and costs and losses), plus certain positive and negative asset variations during the tax year that are not included in the net annual profit, plus some tax adjustments (additions or deductions). The general rule on business expenses is that a deduction is allowed for all expenses incurred for the purpose of generating or guaranteeing the taxable income. Furthermore, to be deductible, expenses must be substantiated. Capital gains realised by resident companies, including non-resident companies with Portuguese permanent establishments, are generally included in taxable income and are subject to the normal tax rate. Capital gains include both voluntary capital gains (i.e., gains realised from the sale or exchange of fixed assets or the appropriation of a company's fixed assets for any purpose unrelated to the operation of the business) and involuntary capital gains (i.e., gains realised on compensation for expropriation and on compensation claimed for a disaster or theft). Fifty per cent of the capital gains on the disposal of tangible fixed assets, intangible assets and biological assets (which are not consumable) held for more than one year are exempt from IRC if the total amount received is reinvested the year before or within two years of such a disposal in the purchase, manufacture, or construction of other tangible fixed assets, intangible assets, or biological assets (which are not consumable), provided that they are not purchased by related entities. Beyond that, a full exemption is applicable to capital gains derived from the sale of shares in the capital of a company if the shares are held uninterruptedly for a minimum period of 12 months, the taxpayer owns at least 10 per cent of the share capital or voting rights of the company and does not reside in a blacklisted jurisdiction and is subject to – and not exempt from – corporate income tax. Tax losses can be offset against tax profits of the next five periods or, for companies that carry on primarily an activity of a commercial, industrial or agricultural nature, of the next 12 years (special rules apply to tax losses deduction for companies under a tax group special regime or in the event of business reorganisations). The general IRC rate for resident companies and non-resident companies with Portuguese permanent establishments is 21 per cent for taxable amounts exceeding €15,000 and 17 per cent for taxable amounts under that value. In addition, a municipal surtax of 1.5 per cent can be levied on taxable profit prior to the deduction of carry-forward tax losses in certain municipalities. Furthermore, a state surtax also applies prior to the deduction of available carry-forward tax losses at the following rates: 3 per cent applicable to taxable profit above €1.5 million up to €7.5 million; 5 per cent applicable to taxable profit above €7.5 million up to €35 million; 9 per cent applicable to taxable profit above €35 million. Individuals are subject to personal income tax (IRS) levied at a national level throughout the Portuguese territory. Other taxes are imposed on individuals, such as the 10 per cent stamp duty on inheritances (although transfers in favour of spouses, descendants, and ascendants are tax exempt) or gifts, and the annual municipal real estate tax. Resident employees and self-employed individuals are required to pay social security contributions. The tax rates applicable to overall income for 2017 are progressive (from 14.5 per cent – for results above €7,091 – up to 48 per cent – for results above €80,640).14 Moreover, an additional 'solidarity' income tax rate applies at the following rates: 2.5 per cent on the part of the taxable income exceeding €80,000; 5 per cent on the part of the taxable income exceeding €250,000. VAT is an indirect tax on the consumption of goods and services and is normally paid by the final consumer. VAT also applies to the importation of goods by any person. In any event, a taxable person may be able to treat VAT as an input tax and offset it against the output tax payable on any subsequent supply of those goods. The standard VAT rate in Portugal is 23 per cent (the standard VAT rate in Madeira and the Azores is 22 and 18 per cent, respectively). In addition, an intermediate rate of 13 per cent and a reduced rate of 6 per cent are currently applicable to a specific range of goods and services (in the Azores the intermediate and reduced rates are levied at 9 per cent and 4 per cent, while in Madeira these two rates are levied at 12 per cent and 5 per cent respectively on the same supplies). In general terms, any person who independently carries out any economic activity in any place, whatever the purpose or results of that activity – including all the activities related to franchising agreements – is taxable for VAT purposes. According to the Portuguese VAT Code, any individual or corporate entrepreneur subject to IRC or IRS on their business or professional activities is also a VAT taxable person. Additionally, such entities (franchisors or franchisees) are also taxable persons for VAT purposes whenever they acquire intra-Community goods and services from a VAT taxable person with no headquarters, permanent establishment, or domicile in Portuguese territory and that has not appointed a tax representative in Portugal. VAT liability is incurred on supplies of goods and services by an entrepreneur within the Portuguese territory in the course of his or her business enterprise or during the exercise of his or her professional practice or artistic activity. VAT liability is also incurred on the importation of goods into Portugal by any person (i.e., importation is in itself a taxable event and is liable to VAT regardless of whether or not the importer of the goods is an entrepreneur). VAT liability is also incurred on intra-Community acquisitions of goods and services by a taxable person. As regards common franchising agreements, the distinction between the supply of services and the supply of goods could be relevant in determining the location of the operation for VAT purposes. However, some current activities (intellectual property rights, technical assistance, general assistance services) are considered as services supplied for that purpose. Both residents and non-residents without a permanent establishment in Portugal are subject to some formal procedures related to VAT payment and compliance obligations. After joining the EU in 1986, Portugal adopted the EU common customs tariff, which required the removal of all tariff and non-tariff barriers with other Member States and the setting up of the common customs duties uniformly applied in the European Economic Community (EEC). Portugal also adopted Commission Regulation (EEC) No. 2454/93 of 2 July 1993, which laid down provisions for the implementation of the Regulation establishing the Community Customs Code. Furthermore, the implementation of the internal Community markets led to free movement within the EU territory of manufactured tobacco, alcohol, alcoholic beverages and petroleum, although these products are subject to excise taxes. The EU harmonisation of legal provisions concerning the holding, movement and control of products subject to excise taxes has led to the establishment in Portuguese law of the juridical-fiscal notion of 'tax or excise warehouse' to be applied to any place where the taxable products are produced, processed, held, received or dispatched by the authorised depositary in the exercise of his or her activity, under the excise tax procedure scheme and according to the conditions established in the Portuguese Excise Taxes Code. Products will be chargeable to tax from the start of production or from their importation into the Portuguese territory or the territory of another Member State, provided that, in the latter case, they are dispatched into the Portuguese territory. Also subject to tax within the domestic territory are those products that have already entered into consumption channels in another Member State and that were purchased for one's own use or for commercial purposes. The free movement of such products between the territory of other Member States and the domestic territory will require an accompanying document. Liability to tax will occur within the domestic territory upon the entry of the products into consumption channels or once goods that should be taxed are reported to be lost. The main local taxes – which should also apply to the parties in a common franchising agreement – are the municipal tax on real estate, municipal tax on real estate transfer and municipal vehicle tax. For tax purposes, as mentioned, there is no specific tax legislation regarding franchising contracts and relationships between franchisors, franchisees and other parties who may be involved. Therefore, tax incentive schemes are totally applicable to franchising investments, provided they comply with the legal requirements. An incentive programme is available to qualifying companies, such as those involved in agriculture, fisheries, the coal industry or tourism, for the setting up of operations in listed, less developed areas in mainland Portugal. To benefit from these incentives, a company must, inter alia, create net permanent jobs attached to the underlying investment and not be deemed to be in 'financial difficulties'.17 The incentive programme includes a corporate income tax deduction of 25 per cent of capital expenditures up to €5 million and 10 per cent of capital expenditure over that amount in investment conducted in areas where the standard of living is abnormally low or where there is serious underemployment. Also included in the incentive programme is an annual municipal real estate tax exemption or, at least, a reduction related to immovable property held within the scope of the investment for a period of up to 10 years, and also a real estate transfer tax exemption or reduction and a stamp duty exemption on all immovable property acquisitions that constitute capital expenditure. Contractual tax incentives are granted for industrial investment projects carried out before 31 December 2020 if they involve an investment of at least €3 million and are deemed to be of strategic interest to the domestic economy and encourage job creation, technological innovation, and domestic scientific research. These incentives are granted by the central government on a case-by-case basis for a maximum period of 10 years, and include a 10 per cent to 25 per cent investment tax credit and an exemption. Portugal has two free trade zones (International Business Centres): Madeira and Santa Maria (Azores). Under the state-aid rules of the EU, Portugal was authorised to enact a socio-economic programme aimed at overcoming the structural underdevelopment of the autonomous regions of the Azores and Madeira. Qualifying industrial, shipping and international services, and financial entities licensed to operate in the Madeira free trade zone or within the Santa Maria Island (Azores) free trade zone are eligible for specific tax exemptions and low taxation. In the context of the corporate tax reform that came into force in 2014, a Patent Box regime was created for certain industrial property rights, such as patents, designs and registered industrial models. According to the regime, only 50 per cent of income arising from the temporary assignment or use of the rights is taxable, while costs are fully deductible. Because of the lack of specific law applicable to franchise agreements, the means of protection available to the franchisee are those established by general statutory regimes. Therefore, rules on the freedom to contract,18 principles of good faith19 and public order should generally apply to franchise agreements. Franchising contracts clearly state that the franchisee is legally independent from the franchisor and that, consequently, the franchisor cannot be held liable for actions or omissions of the franchisee. Employees may hold only their employers liable, which means they cannot sue the franchisor for actions or omissions of the franchisee. Because of the lack of specific law applicable to franchise agreements, franchisees have commonly resorted to the protection available under the Agency Law (i.e., as to the rights applicable to the franchisee upon termination of a franchise agreement). In addition, Portuguese courts have provided that unreasonable, abusive or unfair clauses, or entire contracts may be modified or be declared null and void. This may happen when the contract has not been negotiated but rather presented by the franchisor to the franchisee as a standard form. The Law of General Contractual Clauses21 applies to all contracts that include general conditions (i.e., clauses not subject to negotiation). Thus, a franchisor presenting the franchisee with an agreement containing general conditions that are not expressly negotiated between them may be subject to the Law of General Contractual Clauses. The Law of General Contractual Clauses sets out a number of items that are not permitted under national law and others that must be included or expressed within the agreement. For example, an agreement cannot exclude the right to damages or include penalty provisions for defaults that are disproportionate to the damage or loss suffered.22 As indicated above, these types of clause may be deemed unreasonable and modified or rejected by Portuguese courts. Furthermore, such general provisions in franchise agreements may be subject to competition law, in particular rules on the abuse of economic dominance. Franchise agreements often contain restrictions to competition (e.g., exclusivity, selectivity and non-compete clauses) that may raise issues under competition law. 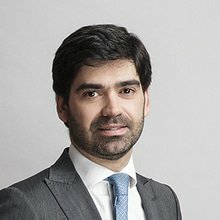 Breach of national competition law results in the nullity of the agreement (or the anticompetitive clauses), in addition to potential imposition of fines on the parties in the agreement pursuant to antitrust proceedings conducted by the Portuguese Competition Authority. From a competition point of view, there are no major substantive differences between national and European law applicable to franchise agreements and to its specific contractual provisions, such as price- and quantity-fixing, territorial and customer provisions, exclusive dealing, tie-in and other restrictive clauses. In principle, territorial restrictions are banned by Article 9(1) of the Competition Act, which prohibits the division of markets and supply sources, as well as other anticompetitive conduct such as price-fixing and limiting production and technical development of investment. Although clauses may be justified when the conditions set out in Article 10 of the Competition Act24 are fulfilled, prohibition of parallel imports, passive sales or the ban of cross-supplies between distributors are considered to eliminate intra-brand competition and, therefore, do not fulfil the exemption conditions. It is common in franchise agreements to include a restriction that prevents the franchisee from developing a similar or competitive business while the agreement is in force and for a certain period after its termination. 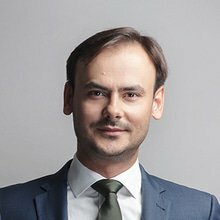 The validity of such clauses is not, in general, contested in Portuguese courts, as long as the clauses do not entail a violation of competition rules. According to the Agency Law, the principal may establish a clause of non-competition to last a maximum of two years after termination, limited to the area in which the contract has been executed, but such a clause will entail a right of indemnity for the non-competition covenant.26 The clause also should provide for payment of a non-compete indemnity. In general terms, franchise agreements contain a clause specifying the circumstances in which such an agreement may be terminated before the contract term, which will normally include events such as insolvency proceedings, failure to meet payment obligations, criminal convictions or a relevant breach of contractual obligations set forth in the franchise agreement. In the event of a breach of contract, termination is permitted without a right to an indemnity beyond general contractual principles of damages for losses and what has been contractually agreed between the parties. There is some case law to support this view in other EU countries; however, Portuguese courts have generally rejected it. The view taken by the courts has been that the franchisee is generally participating in an existing organisation, thereby benefiting from an established client base or following its name, brand, know-how, methods and marketing, and should not be entitled to a goodwill indemnity on termination. With regard to the consequences of termination, the franchise agreement will normally establish that, upon termination, the franchisee will no longer be entitled to use the licensed trademarks or other intellectual property rights and will be obliged to immediately return all manuals and other confidential documents provided by the franchisor. Regarding expiration of the agreement, it is a matter left for the parties to agree upon. 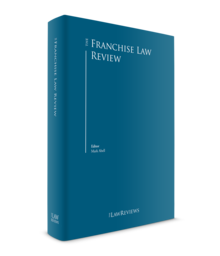 Portuguese doctrine and case law have, however, been of the understanding that the length of the franchise agreement should be enough to enable the franchisee to recover its investments. Furthermore, there are a substantial number of court decisions, based on the principle of good faith and cooperation, that have established a right of indemnity for the franchisee when a franchisor has not given a reasonable notice period prior to the termination of contracts of undetermined length. Competition rules may also be of importance in this matter, in particular Article 12 of the Competition Act,28 which establishes the prohibition of abuse of economic dependence in cases of unjustifiable termination of the agreement. In 2008, Law No. 25/2008 of 5 June was enacted establishing measures to combat money laundering and the financing of terrorism, transposing into Portuguese law Directive 2005/60/EC of the European Parliament and the Council of 26 October and Commission Directive 2006/70/EC of 1 August on the prevention of the use of the financial system, and of activities and specially designated professions, for the purpose of money laundering and terrorism financing. it should be contained in a written agreement or confirmed in writing, making explicit mention of the competent jurisdiction. EU Council Regulation (EC) No. 44/200132 will also be applicable if one of the parties in the contract is domiciled in a contracting state. Often, a franchise agreement will provide for mediation or arbitration as an alternative method of resolving the dispute, since it provides a greater flexibility and expertise. Furthermore, according to civil internal rules, Regulation (EC) No. 44/2001 and the 1958 Rome Convention, Portuguese courts will enforce a foreign judgment or foreign arbitral award. As long as mandatory arbitration national rules are respected, foreign arbitral awards will be recognised by the Portuguese courts. According to the conclusions of the 23rd annual franchise census, organised by the IFE, in 2017, franchising was responsible for around 129,280 jobs in Portugal, representing about 2.72 per cent of total employment in Portugal. By sectors, services was the dominant sector, with 57.7 per cent, making it the most important segment in the national franchising market. 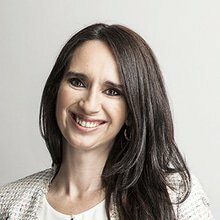 1 Magda Fernandes is a partner, José Maria Montenegro is a senior lawyer, Vasco Stilwell d'Andrade is a senior associate and Dzhamil Oda and Diogo Pinto are associates at Morais Leitão, Galvão Teles, Soares da Silva & Associados. Parts of this chapter originally appeared in Dennis Campbell (ed. ), International Franchising (Huntington, New York 11743: Juris Publishing, Inc, 2012). 2 This tax rate may, however, be reduced, to as little as 5 per cent, according to double-taxation treaties. 3 This tax rate may, however, be reduced, to as little as 5 per cent, according to double-taxation treaties, and under Directive 2003/49/CE payments to qualifying EU recipients are exempt. 5 This tax may be reduced or eliminated according to double-taxation treaties. 6 With the entry into force of the new Industrial Property Code on 1 July 2019, it will also be possible to file third-party observations within this same deadline. 7 Upon the entry into force of the new Industrial Property Code, the applicant will have the opportunity to request proof of genuine use of the mark concerned in the reply. 8 Decree-Law No. 318/2007 of 26 September 2007 established the possibility of obtaining an on-the-spot trademark independently of the incorporation of a company. All the relevant administrative services start and finish the procedural formalities on the same day, and just one personal visit is required. A registered trademark also can be bought online, via a public-access website. 9 The same rule is contained in the new 2018 Industrial Property Code, namely in Article 310. 10 The same rule is contained in the new 2018 Industrial Property Code, namely in Article 311. 11 The new 2018 Industrial Property Code transposes the Trade Secrets Directive (Directive (EU) 2016/943). 12 Regulation (EU) 2016/679 of the European Parliament and of the Council of 27 April 2016 on the protection of natural persons with regard to the processing of personal data and on the free movement of such data, and repealing Directive 95/46/EC (General Data Protection Regulation), also known as the GDPR. 13 The principle of freedom of contract is generally established in the Civil Code, Article 405. 14 Resident individuals must include 50 per cent of the gross domestic dividends received in their taxable income for progressive income tax purposes (partial imputation system). 15 Council Directive 77/388/EEC of 17 May 1977 on the harmonisation of the laws of the Member States relating to turnover taxes. 16 Directive 2006/112/EC on the common system of value added tax. 17 As defined in the Commission communication published in the Official Journal of the European Union No. C 249, of 31 July 2014. 18 Civil Code, Article 405. 19 Civil Code, Articles 227, 334, and 762. 20 Decree Law No. 178/86 of 3 July 1986, as amended (the Agency Law). 21 Decree-Law No. 446/85 of 25 October 1985 (the Law of General Contractual Clauses). 22 Law of General Contractual Clauses, Articles 18 and 19. 23 Civil Code, Article 282. 24 Notably in the case of agreements that contribute to improving the production or distribution of goods or services, or promoting technical or economic progress, if cumulatively they: (1) allow the users of these goods or services an equitable part of the resulting benefit; (2) do not impose on the undertakings concerned any restrictions that are not indispensable to the attainment of these objectives; and (3) do not afford the undertakings the possibility of eliminating competition from a substantial part of the market for the goods or services at issue. Also, prima facie prohibited agreements that do not affect trade between Member States but fulfil all the other requirements provided for in block exemption regulations adopted in accordance Article 101(3) of the Treaty on the Functioning of the European Union may also be considered justified by the Portuguese Competition Authority. 25 As observed by the Portuguese Competition Authority in a case involving a retailer in the context of the relationship with its franchisees, Case No. PRC 2014/03. 26 The Agency Law, Articles 9 and 13(g). 27 Several court decisions have held that, in the event of termination, prior notice given by the franchisor to the franchisee to terminate the franchise agreement should be similar to that established in agency law (decisions of the Appeal Court of Lisbon, of 18 May 2004, Case Number 3589/2004-7, and of 2 February 2006, Case Number 9219/2004-6). However, other court decisions have held that adequacy of prior notice should be determined on a case-by-case basis, so that agency law provisions may not be applied as such (decision of the Appeal Court of Lisbon, of 25 March 2004, Case Number 497-2004-2). The Supreme Court of Justice ruled, on 9 January 2007, Case Number 06 A 4416, that, in a franchise agreement, the loss of clientele is subject to indemnity only when the franchisee shows that it has contributed in a significant way to an increase in the number of the clients of the franchisor. 28 Law No. 19/2012 of 8 May 2012. 29 Article 368-A of the Portuguese Penal Code. 30 Law No. 52/2003 of 22 August (as amended by Article 62 of Law No. 25/2008 of 25 June). 31 Civil Procedure Code, Article 94. 32 Council Regulation (EC) 44/2001, of 22 December 2000.